Those of you working on putting together a "Steam Box" of your own can now test out Valve's proprietary operating system. It's finally here! Earlier in the month, we heard that Valve would be shipping out the very first Steam Machines and controllers on the 13th, and that SteamOS would be made available for download by individuals or commercial original equipment manufacturers at that time. Now, anyone with an internet connection and an itch to give Valve's proprietary OS a whirl can download it for free. 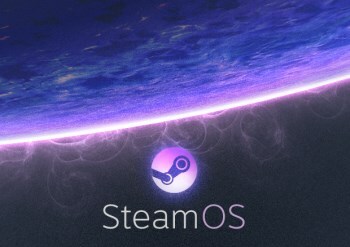 You can download the SteamOS client via the official Valve direct download link, although the folks over at SteamDB urge users to use this unofficial torrent to relieve some of the strain on Valve's servers. If you have any more questions, you should check out the official SteamOS FAQ. Unfortunately, the much-touted ability to stream content from a Windows based PC (known as "in-home streaming") is not available in this build of the OS. Valve stresses that this is still an early beta, and to stay tuned for more updates.